What is the story behind the name and how was it born? Many young people are moving to major cities because of the opportunities provided to them, which was the reason i moved to London as well a few years ago. I got along with people at my workplace, but we didn’t necessarily share the same interests outside of work. I wasn’t looking for a date at the time so didn’t want to use a dating app or a website and it also felt strange. That is how the idea of a platform to meet like-minded people and make new friends came along. The name of the platform also tries to capture some of the core values of the brand itself – it means “enjoy your favorite activities with like-minded people”. My name is Ivan Genchev and I am the founder of Enjoy Minded. Like I have mentioned before I have experienced moving to a new city and having to rebuild my social circle first hand and since I also have vast experience in software development, both mobile and back-end I have started building a platform that can help re-locators to make new friends and explore the city they have just moved to. Enjoy Minded is a platform that can help you meet new people with similar interests in the real world, explore new places and have fun! Which stage are you now? 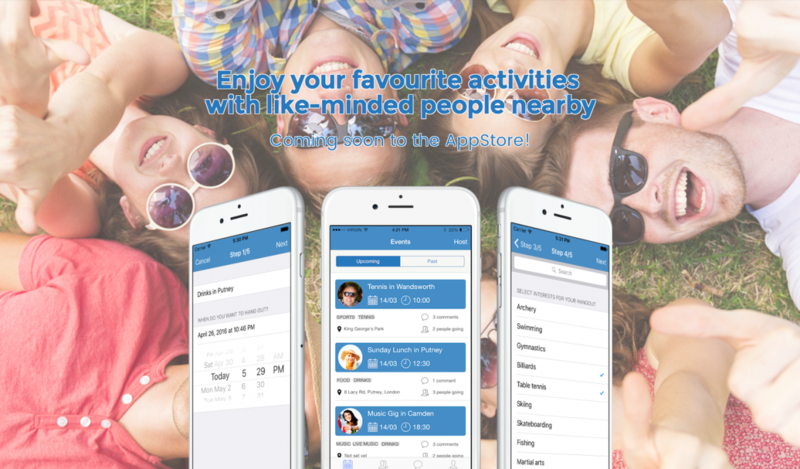 The Enjoy Minded platform is currently under development with the back-end near completed and the first user facing product, which is an iOS application set to be released on the AppStore by the end of August 2016. Users can subscribe at https://enjoyminded.com and get access to the beta version before it hits the AppStore. The first and most important step for us after the launch of the iOS app will be gathering as much user feedback as possible and improving the application based on it. The next major release will be a web application so we can cover an even larger user base and start gathering customers as well. Fail over and over, and over again. Failure is good, with each failure you will gain a new skill that will eventually help you achieve your dreams.